Different technological innovations create spaces for businesses to pursue video marketing. It may cost an arm and a leg at first, but the return of investment (ROI) is promising. Research shows that moving images are the most powerful tools that a small business can use to spark the interest of target customers. According to Vyond, “more than 76% of small businesses have also given video marketing a huge thumbs up”. It gave their sales the boost it needs. Video marketing can be used for all types of businesses. It’s also an excellent way to share information without boring the customers out. It’s normal for small businesses to think that video marketing puts them at a huge disadvantage. From their perspective, all the tools, software, and equipment will never be enough to produce videos that are on par with outputs from giant corporations. Even though it’s not entirely true, that’s still not what video marketing is about. Video marketing humanizes the business and makes it more relatable. It’s a combination of moving images, text, sound, and visuals that appeal to a customer’s emotions. This shows buyers that the brand is reliable, trustworthy, and will give them value for their money. Point being, small businesses have a huge advantage when it comes to video marketing. They can create videos that are far more intimate than giant corporations. 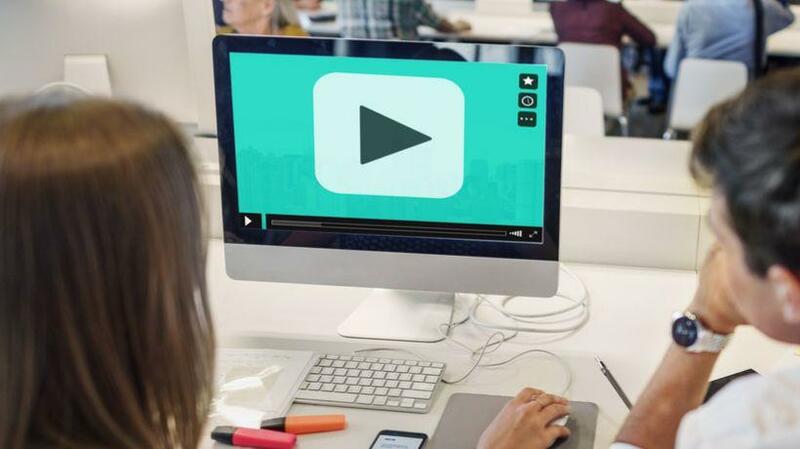 Small businesses often find themselves struggling with the sequence of videos they need to upload to raise brand awareness. Customers will not fall in love with a business after watching one video. The odds of that happening are slim. They need something deeper to take interest in a small business and the best way to do that is by uploading a video that introduces the business. Sharing the story about why the company exists is always a good starting point. It is also good to highlight personal stories and means by which the company’s mission is delivered. Introductory videos should be placed on the homepage so customers have more reason to come back and engage more in the future. Customers who become interested in a small business want to learn more. They start digging to see if the company is worth their time and money. Videos that contain testimonials from loyal customers help build their confidence in the company. Hearing positive feedback from the business owner and other employees is one thing, but the small business is painted in a different picture when the affirmations come from other customers. The company is adept in industry-specific skills should be highlighted in the videos used for marketing. Not only does this strengthen brand confidence, but it also boosts the company’s credibility. Break down the business into bite-sized pieces so customers have a deeper understanding of the small business and the niche it belongs to. Visuals can be added when explaining concepts that are a wee bit too complicated. How-to or tips-and-tricks videos are also strategic ways to highlight a company’s expertise. Small businesses only have a handful of employees that are working together to fulfill the company’s mission, deliver the goods, boost the sales, and provide quality service to the customers. Put the spotlight on the qualities of the team so the customers will also see the people who are working behind the scenes. This also increases the value of the small businesses since the customers see how much work is put into each product and service. The video should include both professional and personal details about the employee. While this contributes a lot to making the business more human, it also makes the small business (and everyone who is a part of it) easy to relate to. The connection between the small business and the customer does not end after the first purchase. The possibility of continuing and strengthening the relationship is opened when the small business nurtures the customers. This is where product demo videos come in handy. These videos show the company’s dedication to customer service. It helps when the discussions on the videos are detailed, and there’s a focus on a specific service or product. If customers have questions about the products, these can be addressed through an FAQ video. Video marketing can also be used to get a feel of what customers think about new products. While product offering may be simple, it’s good to add variations so customers see things from a different perspective. Putting hints here and there before the product release also helps keep the customer’s eye on the company. The more the mystery and excitement build up, the more they are open to receiving information about the product. This also increases the chances of them making a purchase. It boils down to having the right visuals, text, and audio to pique the interest of the customer. As mentioned earlier, when creating videos for marketing, software and equipment are needed. 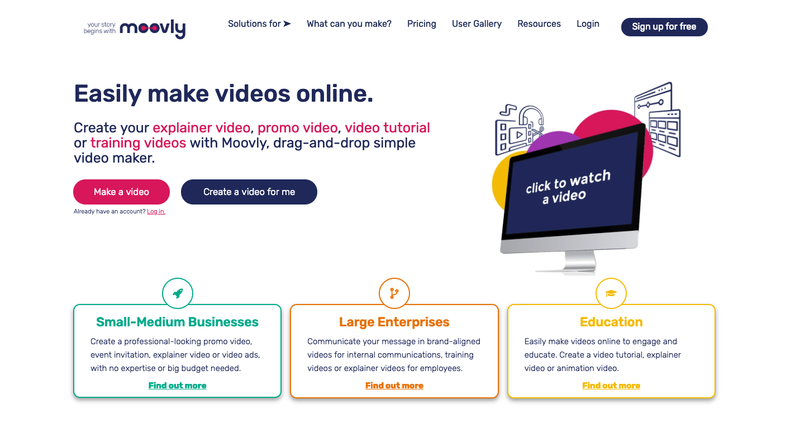 One software used by businesses both big and small is Moovly. It is a video editor and maker rolled into one. This can be accessed online, which makes it easy for other employees to put in their contributions to the production of the video. One more important features that attract your video audience are Thumbnails. Video Thumbnails play a huge role in video marketing. These provide snippets so customers can get a sneak peek of uploaded videos. For creating thumbnails, there are different thumbnail design softwares that can be used. It doesn’t take rocket science to produce tools for video marketing. One only has to see things from the perspective of the target customer. Think of it as having a conversation with someone. What do you want them to know about your business? Answers to this question will help you boost your sales through video marketing. Rekha Pant, is an IT professional, B.Tech from a University in India. Along with her IT profession, she has also evolved herself to become a fluent writer covering different topics. With her rare talent, she has published ace blog pieces as a guest on many websites. She has recently started helping a well-known organization to start a motivational blog pahals.in.